John Callahan talks with his AA sponsor, Donnie (Joaquin Phoenix and Jonah Hill). Directed by Gus Van Sant. Written by John Callahan, Gus Van Sant, Jack Gibson and William Andrew Eastman. Starring Joaquin Phoenix, Jonah Hill, Rooney Mara and Beth Ditto. Opens Friday, July 27, at the Hi-Pointe Theatre and Landmark Plaza Frontenac Cinema. 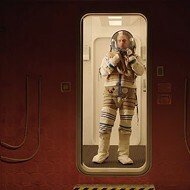 For some independent filmmakers, individual style is no more than the desire to create a kind of brand recognition, to be described in trailers as "visionary" while working out licensing deals or angling for a cushy job making American Express commercials. Fortunately, a few (Soderbergh, Jarmusch, Linklater) can't be pinned down so easily, a group whose wider outlook allows them to retain control over their films even as they jump from Oscar-bait to art films, from genre films to esoterica. With a body of work that ranges from conventional but admirable (Good Will Hunting, Milk) to determinedly avant-garde (Gerry, Elephant), Gus Van Sant is possibly the least predictable within this circle of directors. His films are uneven, inconsistent, sometimes even questionable (the 1998 shot-for-shot remake of Psycho). Still, they're clearly the product of considerable thought. 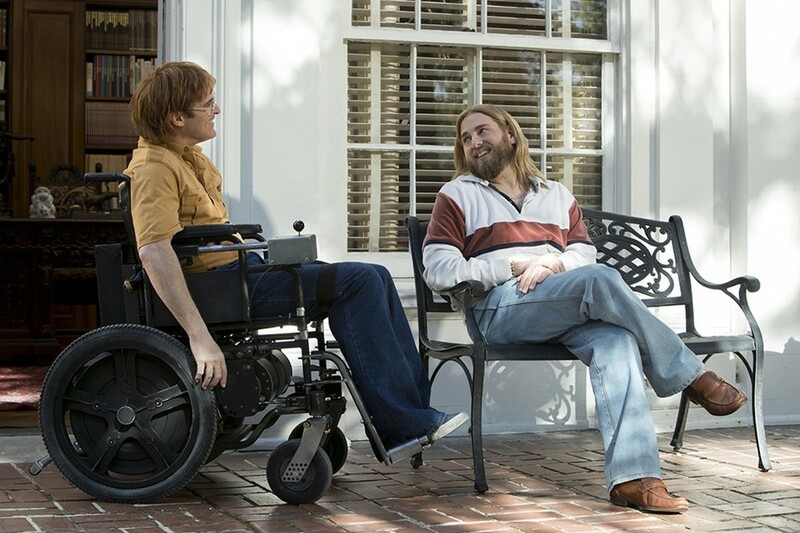 Van Sant's latest film, Don't Worry, He Won't Get Far on Foot, is a loosely constructed portrait of the late cartoonist John Callahan. Though sometimes told in broad satirical gestures, Van Sant takes a light, humanist approach to a story that could easily have turned melodramatic. The Portland-based Callahan, whose work appeared in dozens of publications (including the RFT), turned to cartooning accidentally — in the most literal way. Callahan became a quadriplegic at age 21 and was a recovering alcoholic. Following in the tradition of other "sick" cartoonists like Gahan Wilson and Charles Rodrigues, Callahan produced crudely drawn sketches that often dealt with physical disability, substance abuse and psychological disorders and were often (predictably) greeted with reams of hate mail. He recognized that his cartooning was a way of addressing his personal struggles with disability, addiction and abandonment and reportedly relished the complaints. Rooney Mara plays John Callahan's girlfriend, Annu. Based on Callahan's 1989 autobiography, Don't Worry, He Won't Get Far on Foot is perhaps best defined by what it doesn't do. It's not a sentimental story of artistic triumph, although his success as a cartoonist is a significant part of the story. It's not a recovery drama in the tradition of Clean and Sober or 28 Days, although the twelve steps are shown in detail. The film avoids presenting Callahan as either a pathos-driven saint or the life of the party. It's light-spirited without being a comedy and sober without being tragic. Avoiding the obvious narrative, Van Sant has assembled a rambling, suitably shapeless portrait, perhaps slightly less provocative than its subject's drawings, but with a warm and sometimes subtle sense of humor, pushed along by a jazzier-than-usual Danny Elfman score. While the film presents the twelve steps of recovery at length, Callahan himself seems to follow them with a bemused sense of puzzlement. His AA meetings — also attended by Beth Ditto and Udo Kier — sometimes dissolve into a catty grown-up version of The Breakfast Club. The group's leader, played by Jonah Hill, is a spacey New Age rich kid, given to striking Christ-like poses. 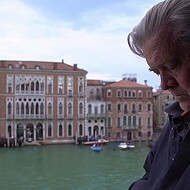 One minute he's reciting platitudes from the Big Book; the next he's lounging listlessly in his mansion as if bored by Callahan's questions or, in one private moment, frantically boogieing to "Shake Your Groove Thing." Hill gives an inspired but genuinely bizarre performance, a free-spirited and narcissistic Yoda in Callahan's quest for sobriety. Van Sant treats Callahan's story as a fragmented series of events, a jigsaw puzzle of highs and lows, leaving it to Joaquin Phoenix to hold them and the film together. A former child actor, Phoenix's earliest adult performances seem strained and methodical, yet he's since evolved into a strangely selfless actor. He's reclusive, deliberately holding back on any kind of charisma. As in the recent You Were Never Really Here, he keeps himself bundled so tightly that he eliminates any room for the viewer to identify with him. In that film, Phoenix's reserve gave a sense of the pain his character was trying to repress. As Callahan, Phoenix's repression works differently. He's oddly likable even though he doesn't make any effort to be loved. As he works through the intensive self-reflection of recovery, he doesn't talk much about the process, but you can see the struggle on his face.